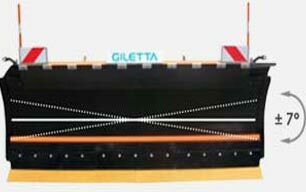 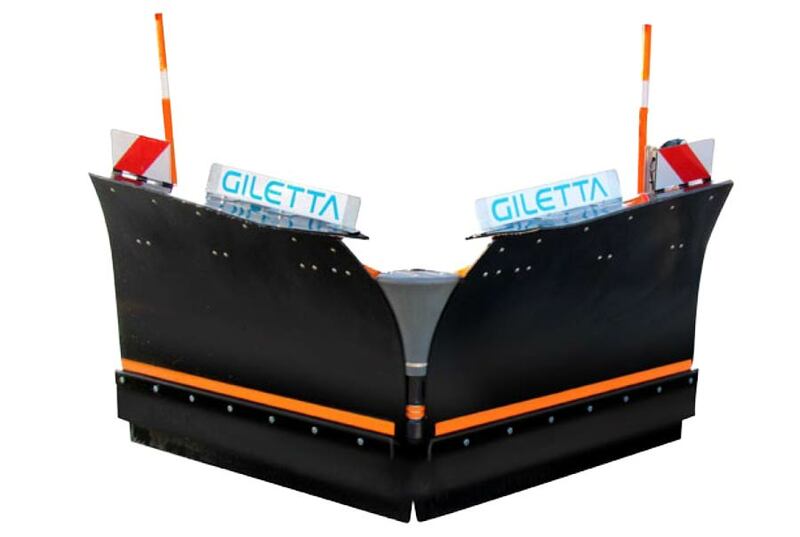 Giletta snowplow manufactured to push back winter snow. 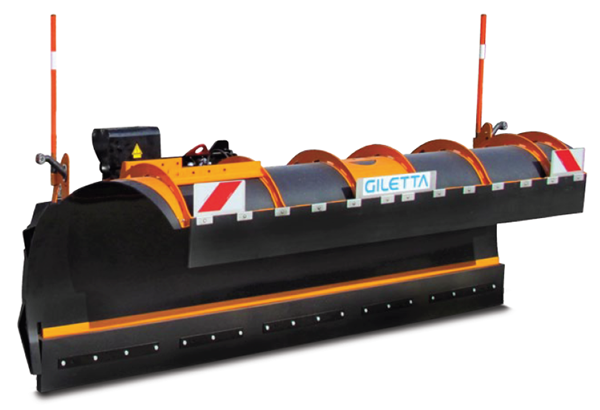 Designed to work with positive or negative angle with steel, rubber or polyurethane cutting edge (MV and MP). 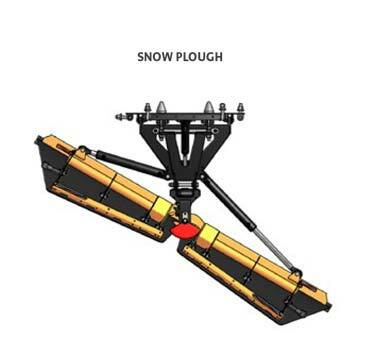 Snow plough lifting/lowering movement is realized by one double effect hydraulic cylinder. 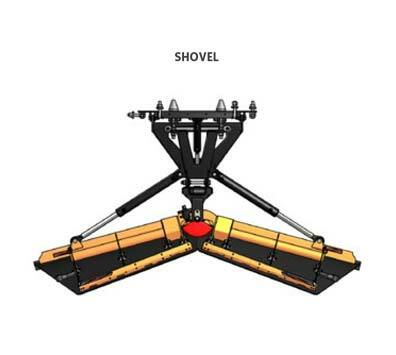 Snow plough orientation (left/right) by two double effect hydraulic cylinders connected to a safety twin by-pass valve to prevent demages during working conditions in case of lateral shock. 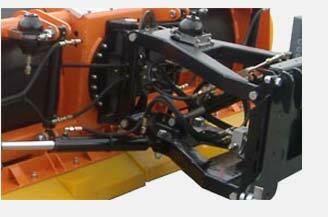 For electro-hydraulic drive equipped with joystick to command the plough inside the driver’s cabin. 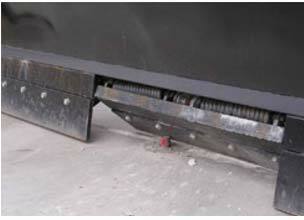 Possibility to modify hydraulically the inclination angle. 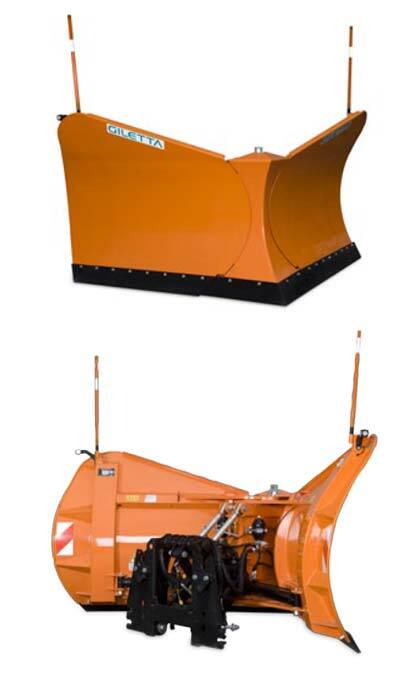 Available for M and L snow plough. 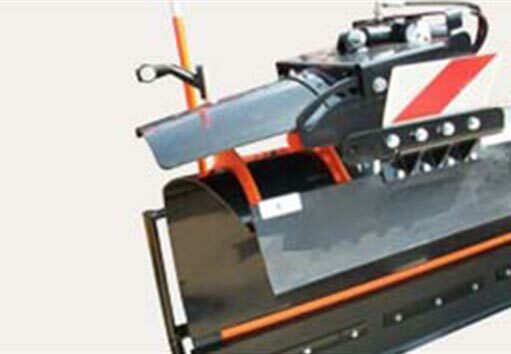 Only for single cutting edge. 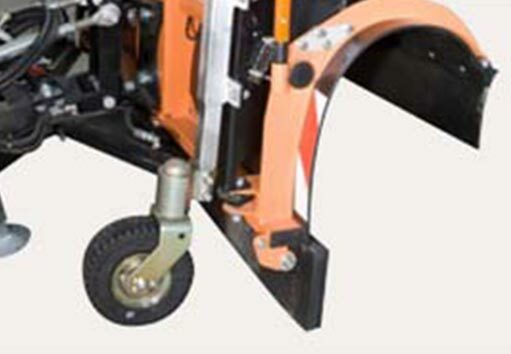 Designed to work with positive or negative angle by means of steel or rubber cutting edge. 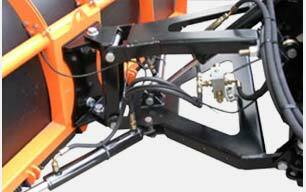 – Hydraulic group for lifting and orientation. 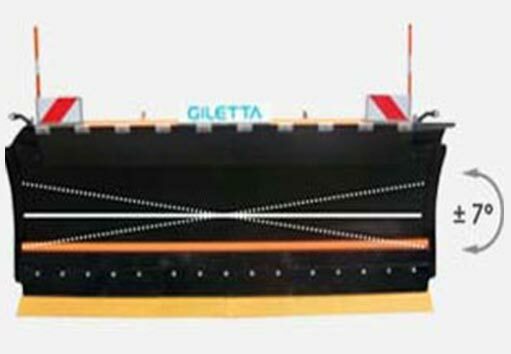 Tilting system connected to the monolithic structure for a ± 7° rotation angle to follow road surface. 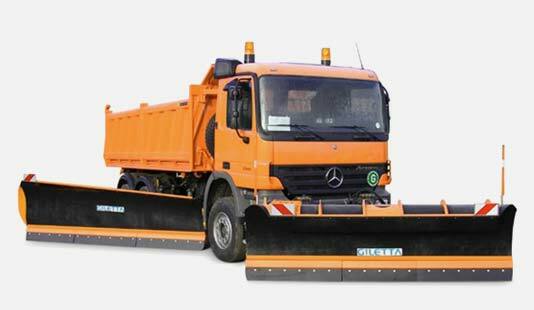 The new U series snow ploughs have been designed to work at high speed (ref. 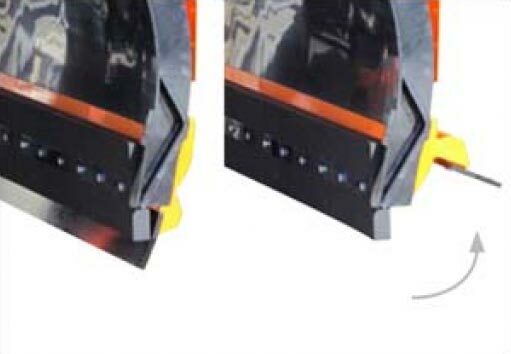 EN13021), with single or double cutting edge. 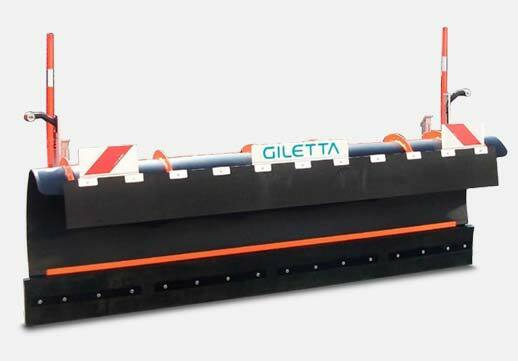 Designed for heavy snow removal from mountain roads. 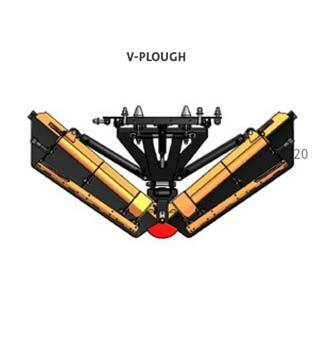 – Rotating wings to obtain three different positions:v-ploughs shovel and snow plough. 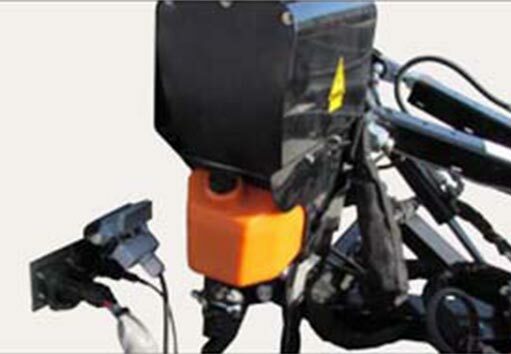 – Powred by the hydraulic system from the vehicle.